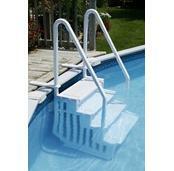 Make getting into and out of your pool easy with one of our beautiful Above-Ground Pool Steps. 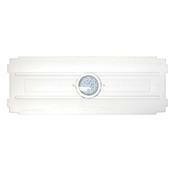 Check out our wide selection of step entry systems for one that fits your needs and budget. 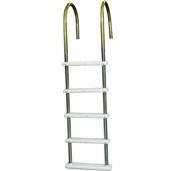 Replace your flimsy Above Ground Pool Ladders with one of our rugged, top quality ladders. 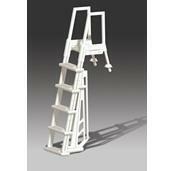 We have the ladder for your pool, whether you have a deck or not, plus ladder enclosures for extra safety. Climbing over the top of your pool to get in or out is damaging the edge which can lead to pool failure! Designed to sit above ground level, accessibility to the pool is a necessity. Convenient and easy access is even more important if anyone in the family, guest or neighbor is permanently disabled, recovering from long term sickness or an accident. An able-bodied person or a care giver needs to be safe, too. 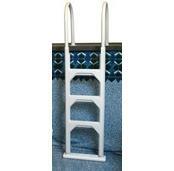 PcPools.com has many above ground pool ladders that will provide safety and lend to the aesthetic value of your pool. 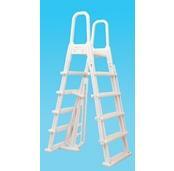 If you have an old pool ladder, it is possibly flimsy and unsafe after going through several extremes of weather. 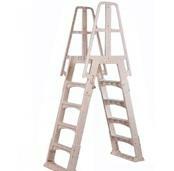 Why not replace it with a ladder from PCPools.com and be absolutely sure that your family, friends and neighbors are safe? 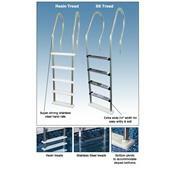 We have a wide selection of above ground pool ladders or step entry systems to fit your needs and budget. After you check out our above ground ladders and you see what will work with your pool, there are more things to take into consideration. How many people will use your pool? What are the average age and weight of the swimmers? How often will people use the pool? Does your pool have a deck? Do you want to use the access to restrict unauthorized access to your pool? 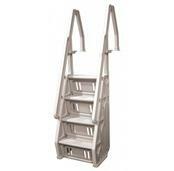 Above ground ladders are made from a variety of enduring materials such as, aluminum, resin, stainless steel and vinyl. 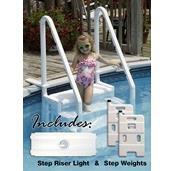 This gives you more control over the model, size, type and cost of the pool ladder entrance and exit system. The type of ladder enclosure you choose is important for keeping small children from climbing up the ladder and falling in. It also lets guests, family and others know that the pool is not "open." Our above ground pool entry system is easy to install and meets all entrapment guidelines and codes for you and your family’s protection. A pool’s exit system is crucial, considering how a person must be able to get out of the pool! 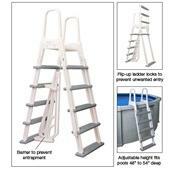 PCPools.com has many in pool steps and ladders and combination entrance and exit units. We make sure our handrails are sturdy and the steps on the ladders are the appropriate size, height and depth to accommodate most everyone. 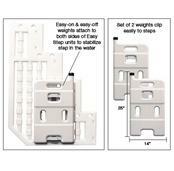 Our step pads are designed to protect the pool liner and help prevent ladder slippage.